A cyclist rides past the closed trail sign and orange fencing that stretches across the entrance to the Sale Barn Trail on the southeastern side of Durango. People in Durango continue to build illegal trails, and it’s causing an issue for land managers, wildlife officials and trail advocates that can’t rein in the longstanding problem. Rogue trails constructed on public lands is not a new problem, but the most recent spike started when the BLM’s Tres Rios office updated its Resource Management Plan in 2015. As part of the process, the BLM was tasked with including a separate Travel Management Plan, which identifies what routes are open to hiking, mountain biking, motorized vehicles and other uses. Over the past three years, miles of unapproved trails have cropped up around Durango, particularly in the Animas City Mountain and Grandview trail networks, said Tyler Fouss, a BLM law enforcement ranger. The trails appear to be mostly constructed and used by mountain bikers. And Fouss said there are at least three to four other illegal trails on Animas City Mountain. Trails are also being built and used in closed areas. Every year, the BLM cordons off areas that are critical winter habitat for wildlife from Dec. 1 to April 15, and every year, people disregard the closures. For instance, Fouss said last week he saw mountain biking tracks at the Sale Barn trailhead that accesses Grandview. The tracks were likely from the weekend. 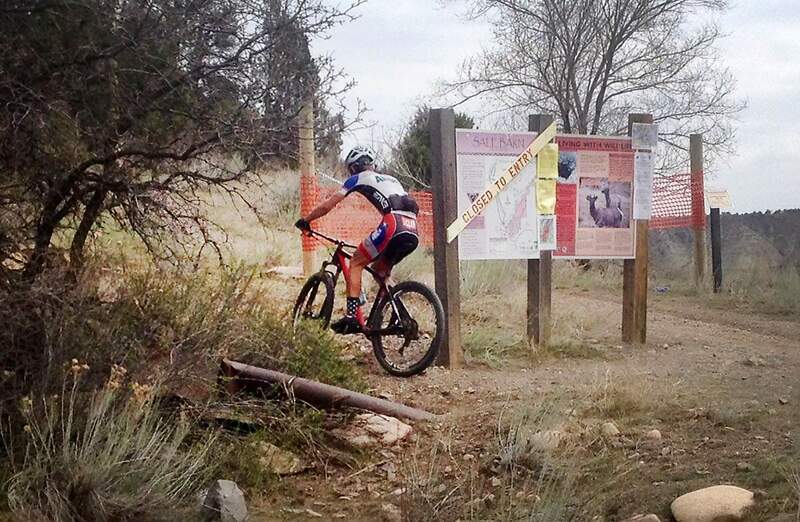 The U.S. Forest Service discovered an illegal mountain bike trail near Hermosa Creek Campground, in a special management area protected by law. Forest Service staff and volunteers went out in June to eliminate the route by spreading shrubs, rocks and trees along the path.